The public is invited to come hear your elected legislators discuss the agenda for the coming legislative session. Various steps being considered to improve the lives of Georgia's children, families and communities will be discussed. 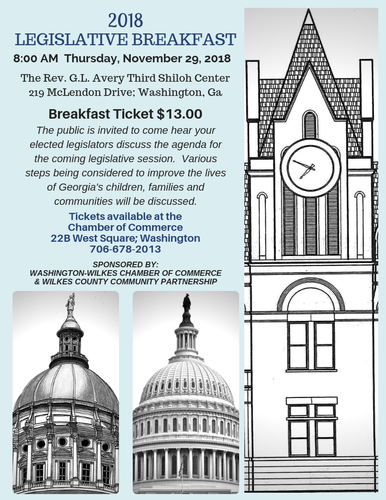 Annual Legislative Breakfast is sponsored by Washington-Wilkes Chamber of Commerce and Wilkes County Community Partnership.